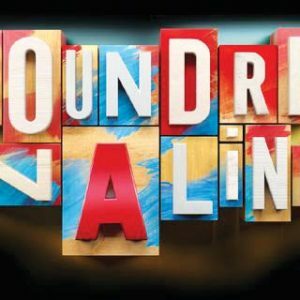 After 15 consecutive successful events, Soundrenaline is ready to rock the island again with the theme Soul of Expression. This grand event will feature a dedicated space for creators of music, art, photography, and cinema. Soundrenaline 2018 proudly present renowned local and international musicians including Limp Bizkit, Burgerkill, Sheila on 7, Naif, and many more. The 7th annual Maybank road race is scheduled again to take place in Gianyar. The race features a combination of flat roads across rolling hills. 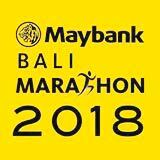 Runners will experience the Balinese landscape along with traditional art performances by its most hospitable inhabitants along the course. You can still sign up to enter the race in any of the following categories: Full Marathon (minimum age 18 years old), Half Marathon (minimum age 17 years old), 10K (minimum age 12 years old) and Children’s Sprint. Check the website for details on routes, participant’s fees and the great prize money. The Lovina Beach Festival is held in September each year along Kalibukbuk Beach on the northern part of the island near Lovina. It is a 3 day festival that highlights the traditions and cultural practices of the Balinese people and showcases handicraft exhibitions, photography contests, flower offerings, bull race, puppet performances and plenty of live music. There will also be a lot of food and drink offered at stalls serving local Balinese cuisine and some traditional favourites. A parade featuring music and dance marks the opening ceremony of the event. The closing event includes a traditional Northern Balinese dance performance, the Ki Barak Panji Sakti and Gong Kebyar. Lovina Beach is about a 3 hours drive from Kuta beach. This presents a unique occasion to stay for a few nights and explore this beautiful part of Bali. However, before setting out, be sure to confirm the festival dates as these were not yet firmly set when this column went to press. This is the 10th anniversary of South East Asia’s surf film festival and it will be celebrated with a fabulous 4 days of fun filled with fantastic surf documentaries, action films, art and live music. The festival pays homage to board-riding cultures around the world and presents a line-up of inspiring films on the surf culture, from isolated coastlines of Angola, the northern most shores of Indonesia, picturesque Mexico and the gnarly breaks of Nazarre. These productions go beyond the waves and show how surfing can mobilise, inspire and fuel social change.